Meet Lisa Levis… a British print designer described on her website as “a modern designer, deliriously devoted to create beautiful things”. Lisa can be credited with creating two fabulous new accessories brands, Betty & Walter and Ada Rose, which are both guaranteed to make a mark on the British design scene. With a nod to design from the 40s, 50s and 60s both brands possess a quintessentially British aesthetic but with a dash of Hollywood glamour thrown in for good measure. Betty & Walter is the younger, more colourful of the two brands featuring ditsy florals and graphic patterns while Ada Rose has a more grown up feel with bold florals and predominant use of black. 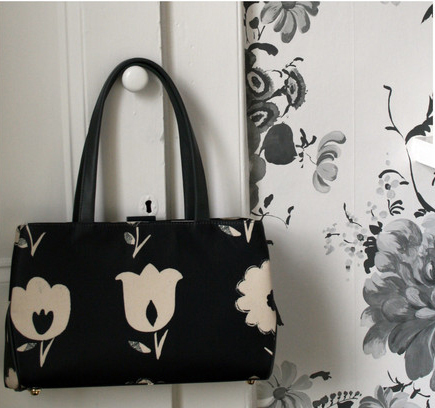 The designs, which showcase Lisa’s print designs on items such as purses, bags, wallets and headscarves, are girly but certainly not sickly sweet… think quirky vintage with a mid century vibe. You may already know Lisa’s work from her former brand, Lisa Stickley London, which now operates without her. Lisa has not been connected with Lisa Stickley London since 2011 and now channels all her creative output into Betty & Walter and Ada Rose. All of Lisa’s designs begin life as drawings and paintings which are then scanned and worked up on a computer to create the final patterns. While mid 20th century design provides a lot of the inspiration, Lisa is also influenced by people and places that are significant to her, and it’s lovely to see so many personal references in the collections… Betty & Walter is named after her Aunty Betty and Uncle Walter while Ada Rose is named after her great grandmothers. It’s clear to see Lisa’s passion for design which makes her work all the more special… her blogs feature lots of imagery that has inspired her work and home decor and are abound with vintage prints, drawings and photographs as well as detailed updates on the brands. Betty & Walter was the first of the two brands to launch and was introduced to the British high street late last year with a toiletries gift range sold in Boots. A wider range of bags, accessories and kitchen textiles have recently hit down in selected stores and were officially launched alongside Ada Rose in a pop-shop in Notting Hill, London last month. All of the items are named after vintage desserts and include names such as the ‘Royal Fudge’ magazine bag and the ‘Pear Jelly’ wallet. 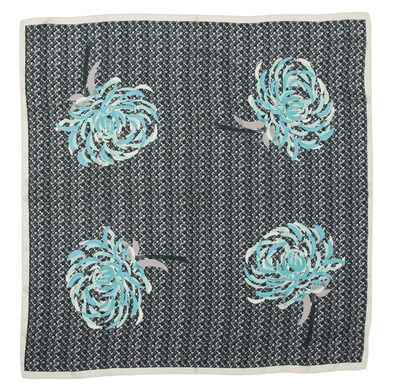 Prints include a sponge fingers pattern inspired by her Aunt Betty’s trifle and dainty bunches of tulips and forget-me-not flowers inspired by her Aunt and Uncle’s garden. Stockists include Fenwicks in Canterbury, Bentalls in Kingston and Bloomsbury of Bath amongst some other great UK retailers. Aimed at a more mature customer, Ada Rose is a fashion lifestyle brand which offers bags, purses, wallets, brooches and scarves. Ada Rose is much like Betty & Walter’s older sister – the collection has a sophisticated feel and designs are smart and feminine, designed to be taken from afternoon through to evening. Think Grace Kelly style headscarves and purses with clasp fastenings… old school glamour it it’s best! Prints include ‘Edith’ (turquoise floral print on a hand drawn tweed background) and ‘Queenie’ (large scale florals in cream on a black background). It is nice to see such attention to detail across all of the pieces, with coordinating fabric linings on all of the bags and purses plus handy zip compartments. 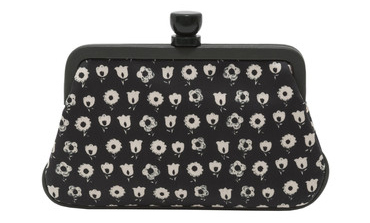 With Liberty as their major UK stockist it is certainly very exciting times for the brand. Other UK stockists include Jarrolds in Norwich, Smug in Islington and The Hambledon in Winchester amongst others. What has been the most exciting moment for you since the launch of your two new brands? Well, it’s quite hard to narrow it down to one thing as there has been a lot of good stuff going on. Here are my top three… sitting in Tom’s Deli and pressing the button to go live on the Ada Rose and Betty & Walter websites (technology is amazing these days, a little wifi and the world is your oyster!). Opening the doors to our pop up launch party on Westbourne Grove. Amazing location, amazing venue and such an opportunity to see all of the products come to life in a space created specially for the occasion. Seeing my products back on the shelves in Liberty. It is such a great store and I am totally and utterly privileged to be in there… next to Mason Pearson too, classic. How would you describe your work to someone who has never seen it before? Feminine, elegant, British inspired product, influenced by people and places significant to me. With each print starting from a blank sheet of paper, my work is a modern interpretation of my source material, it is functional and always presented with a touch of wit. Do you have a favourite piece in either of the two new collections? 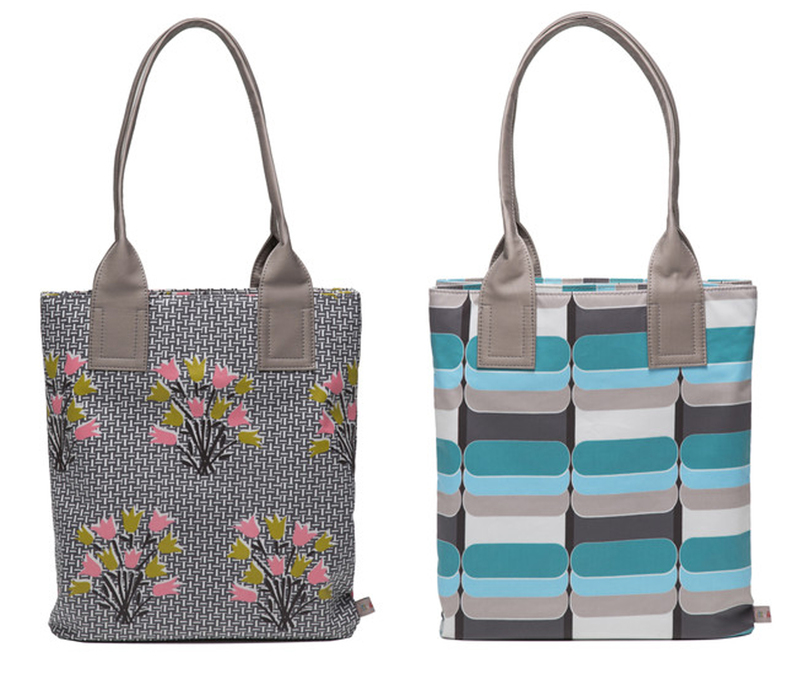 My absolute favourites from the collections this season are the Laurel handbag in Queenie Large from Ada Rose and from my Betty & Walter range it has to be the Royal Fudge double magazine bag, in Tulips print, Puddle colour. Laurel is a super functional handbag with lots of ladylike charm, which balances out what I am wearing if I am in ‘tomboy chic’ mode adding a touch of elegance. It holds everything I need in a handbag, including my iPad. Royal Fudge is a great companion for papers, files and all the bits I regularly need to go here and there for meetings and appointments. Where do you find the inspiration for your brands? I think when you are a designer you never really switch off, and are always absorbing inspiration from everything and everywhere. It’s when and how you choose to put it all together that really makes the difference. A true provenance is key for me, hence my Great Grandmothers and Aunty and Uncle being my muses I guess. I then incorporate this provenance with other inspirational aspects to make it my own. Inspiration can come from anywhere. It could be an attitude, a song, an exhibition, sifting through a pile of old magazines, anything. I have found over the years that the way you see things changes too. I still find new inspiration from sketchbooks and collections I have kept hold of for many years, but see differently each time I revisit them. Which stores – both online and bricks and mortar – do you like to shop at? YMC, Labour & Wait, Caravan, The Old Goods Shed (Canterbury), Fishs Eddy (New York), Aesop, Cos, Loft (Japan, stationery heaven! ), Ebay, Antiques fairs (UK, Italy, New York, Belgium). What are you working on right at this moment? Preparing the flat for a photo shoot next week with a Japanese magazine. What do you enjoy most about your job? Creating. I am doing what I love. I tried to stop once but it was like being suffocated. I can’t imagine doing anything else. Is there anything coming up later this year that you’re excited about? At the moment we’re preparing for Dulwich Open House which is exciting. Everyone on the Betty & Walter and Ada Rose mailing lists will be sent an email about it, with the address and invitations sent on request. It falls over the weekends of the 11th / 12th May and the 18th / 19th May. I will be baking many batches of biscuits and brownies and people will get to see lots of inspirational archive bits in our home. We will be posting lots of info online nearer the event but you can get more details on the Dulwich Festival website. Sign up for the mailing lists at Betty & Walter or Ada Rose. What advice would you give to an aspiring print designer? Stick to your vision and be true to yourself. Be tenacious, more hard working than you can ever imagine, don’t give up and above all enjoy it. You can read Lisa’s blog at www.lisalevis.com and shop at www.bettyandwalter.com and www.adarose.com.